Some people meet the person of their dreams and want to get married immediately. Others find planning a large wedding far too stressful and want to avoid the whirlwind of emotions. Still, others view something like an intimate affair between two people, or maybe they feel that their betrothed is someone the family wouldn’t approve of. If you identify with any of these scenarios, you may be considering a secret marriage. If that’s the case, there are a few details you need to be informed of before you take the plunge. If that ship’s sailed, you may be considering planning a “do-over” to satisfy your friends and family. We’ll tell you all about it. A secret marriage is a pretty simple concept. It’s the exact same as a regular marriage with one exception; nobody knows about it. With a secret wedding, there can still be a sharing of vows and there can still be an officiant citing bible verses and an exchange of rings. At the end of it, there is an official signing of wedding documents – the marriage license – making everything official. The only thing is it’s just you and the groom, no friends and no family. Some couples choose to take the process of a secret marriage one step further and remove the ceremony from it altogether, performing on the formalities of marriage in front of a judge. There are plenty of reasons for this, which we’ll explore further. We already mentioned a few reasons why couples are getting married in secret, which seems to be happening more and more these days. Today’s couples are much more socially and religiously liberal than their parents. This is leading couples of mixed beliefs and mixed fait falling in love and wanting to spend the rest of their lives together. Rather than, for example, having to listen to their parents explain why it’s just not right for a Roman Catholic to marry a Protestant, couples choose to get married without informing their friends and family. There are dozens if not hundreds of variations of this example happening all over the country each day. Privacy is also a huge issue. Many celebrities want their weddings to be special, just like the rest of us. But it can be nearly impossible to get wrapped up in the romance with paparazzi following every step. Although we may not all be famous, the way our friends and family try to command every aspect of our weddings. So it can feel almost as invasive. Sometimes it’s just easier to forgo the whole ordeal and get married in Vegas (and other best places to elope). How to get married without anyone knowing involves? Simple! A couple and a marriage certificate being signed. Also, take a look at our amazing collection of elope wedding dresses any bride can dream of! The only tricky part may be getting away for the day to make this happen without anyone getting suspicious. It’s only a day, so it’s easy enough to pretend you’re just heading out on a mini weekend vacation. The positive aspects of a secret wedding are simple to identify and easy to desire. First and foremost, you’ll save a fortune. If you choose, there’s no venue, no gown, and tuxedo, no food, no invitations, no… well you get the point. Most couples will pay for the marriage license and simple rings, that’s it. Depending on how many friends and family you have and the particular expectations you could be looking at tens of thousands of dollars saved. There’s also the time aspect. With a planned wedding, you have to start planning and making deposits around 12 months in advance. With a secret wedding, you need about a week’s worth of planning. Sometimes it can be completely impulsive. The less obvious aspects of a secret wedding are the disadvantages of a confidential marriage license, which are more emotional. Sooner or later you’ll want to – or have to – inform your friends and family about the big news. Some of them, most likely your parents, will be incredibly hurt that they weren’t included or that you didn’t follow tradition. There are 2 main versions of how to get married in secret. One includes just the couple and a judge. The other involves the couple, an officiant, and a very small number of people to observe and celebrate. If you do set off on a secret wedding (or eloping), and decide that you want to have a traditional wedding after the fact you’re more than welcome to. However, getting married before the wedding is official and legal. The second wedding is a ceremony but there won’t be a second marriage certificate. Secret weddings are not a modern concept. In fact, some of the most inspirational love stories from history involve secret weddings. Cameron Diaz stole our hearts in “There’s Something About Mary”, and kept us coming back for more in box office hits like “Charlie’s Angels”. Rather than host an elaborate destination wedding or a paparazzi-fueled local event, she kept it quiet. Her and now-husband Benji Madden of the rock/pop-punk band Good Charlotte (vocalist and lead guitarist) fame officially tied the knot in January 2015. The backyard ceremony was so low-key that they didn’t even formally announce their engagement. Real life imitates art with this adorable couple. We witnessed “Jackie” and “Kelso” fall in love on the hit comedy That 70’s Show – the stars’ breakout roles – and 9 years later they were secretly married IRL. The ceremony was such a well-kept secret that there weren’t even photos at first, causing everyone to question if it actually happened or not until Mila presented her wedding ring months later on James Corden’sThe Late Late Show. With DeadPool 2 fairly fresh to the silver screen and his brand new brand of Gin – Aviator – hit the market by storm, Ryan Reynolds is one of the hottest actors in Hollywood atm. Equally as hot, the stunning Blake Lively of Gossip Girl fame. This couple is picture perfect, and the way they treat each other makes the authenticity of their love unquestionable. This marriage will no doubt stand the test of time. A secret wedding doesn’t mean it has to be dull in the least. After 10 years of dating, this couple tied the knot in a lavish Italian castle, draped from head to toe in Tom Ford, and featured the entertainment of a personal serenade from Elton John. Fittingly, the couple met on the set of the 2009 film The Last Song as star crossed lovers. 10 years later – as Cyrus captioned on one of her Snaps – and the couple was secretly wed. The news didn’t come as a formal announcement. Rather, the public put 2 and 2 together about their secret marriage license when New Years Eve pictures emerged with the couple cutting a cake in front of “Mr and Mrs” balloons. Cardi B is never far from the headlines and September 2017 was no exception. News rang out about the rappers secrete wedding when The Migos membered referenced Cardi B as his wife during the BET Awards. There’s been some public ups and downs since then. But the couple is currently working on making their marriage strong and healthy. 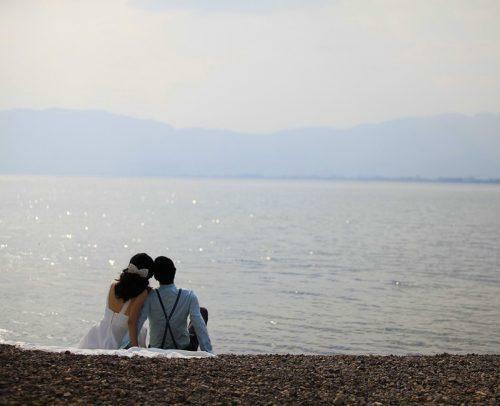 The couple got married a few short months after they started dating, leaving only a very short while to plan the wedding. Although the relationship seems rushed from an outsider’s perspective the couple can’t stop gushing about each other and there’s already a baby on the way. It’s nearly impossible to keep a secret in Hollywood, but this couple managed to do just that by keeping their private NYC wedding to themselves for 5 months. This marriage has been baking for 5 years and things seem just perfect for a lifetime of happiness. This famous couple shows us exactly how to get legally married without a wedding. Megan Fox of Transformers and Jennifer’s Body fame, and Brian Austin Green becoming a household name through the incredibly popular Beverly Hills 90120, has suffered through a tremendous amount of press. Often featured were stories of the couples troubled private lives and relationship woes. 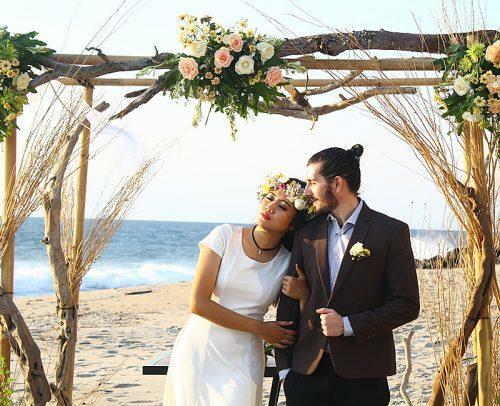 This is probably why they chose to have only a single guest, Brian’s son Kassius from a previous marriage, attend their private Hawaiian wedding in 2010. If you’re wondering how to have a secret marriage, this couple is the poster child. This Oscar-winning actress and arguably the best 007 ever have welcomed their first baby girl after 8 years of an intensely private marriage. They struck up a friendship on the set of Enduring Love back in 2004. Since then they each had marriages and children of their own. And eventually came together when they worked together again as a couple on Dream House. They moved very quickly ever since and live a very quiet life together. No secret wedding list would be complete without mentioning Queen B and Jay-Z. Since we first heard that these two were a couple back in 2000, it’s been impossible to keep their love a secret. They had obvious chemistry and killer collaborations. After they each became music royalty they started dropping more and more hints. This culminated in the couple marrying eight years later and they make it official with an ultra-secret ceremony. The couple continues to rule their empire with three children to occupy the kingdom. Celebrity secret weddings are mainly for privacy, but they’re not too far off from the reasons that a secret wedding is the best option for many of us. If you feel the stress of planning a wedding is overwhelming, that your fearing the response of your friends and family, or maybe that you literally can’t wait to say “I Do” with your one and only, perhaps a secret wedding is just what the doctor ordered.